A frosted glass door is a style of decorative glass door that uses a translucent glass with etched designs in it. This type of door allows light to come through without having to sacrifice your privacy. As a result, it is ideal for bathroom and closet doors though it is also appropriate in other parts of the house too. A frosted glass door is adaptable to many different places because there are lot styles to choose from. You can this type of door with a wooden frame if you prefer something more classic, or you can get a frameless frosted door if you want the modern, contemporary feel. A frosted door is created by sandblasting or acid etching a clear sheet of glass. In sandblasting, an abrasive is blasted at the glass to make it translucent. Different shades can be achieved by adjusting the angle and the speed of the sandblasting. 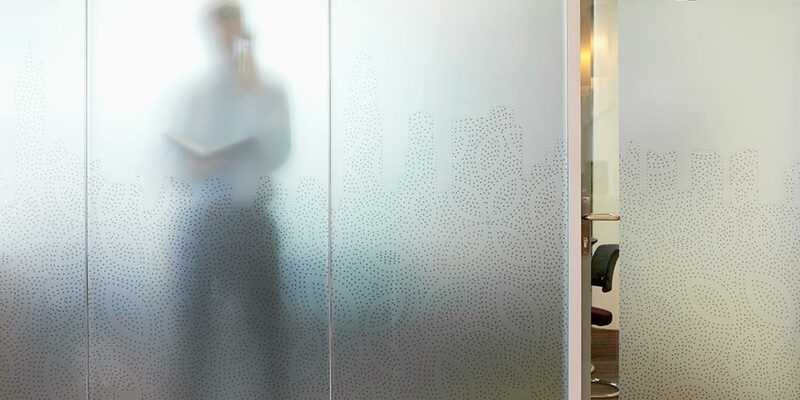 A stencil is employed to keep an area from being sandblasted, so that the design is imprinted on the glass. There are many different designs that can be etched on a frosted door and some of them include patterns, borders, letterings, drawings, and many more.